Sportiness was always in the genes of the R15. However, it just multiplied with the latest iteration. The fairing is a lot more race-inspired and the bike looks a lot leaner now. The ergonomics has gone from better to best, albeit very sport-biased. The front fascia has twin LED headlamps with DRLs and a faux air intake. The tall windscreen and sculpted fairing are extremely aerodynamic. The pillion seat, though small, is a lot more practical as the height is a lot lesser than the V2. The clip on handlebars and the sculpted fuel tank calls out the rider to be more leaned on and zoom through the roads. That said, the performance is not unnecessarily powerful as the bike has a sufficient amount of stability and road grip, thanks to the 100 mm front and 140 mm rear tyres. 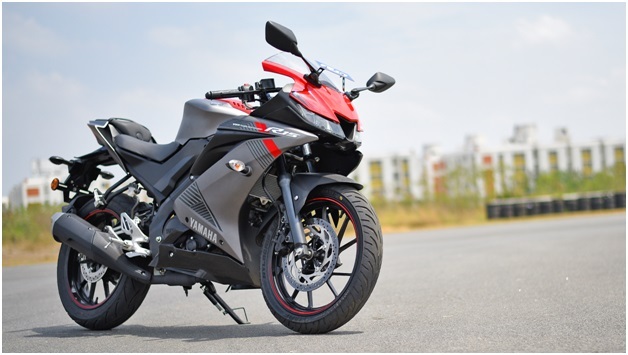 The Yamaha R15 V3 is the most powerful motorcycle in the 150-cc segment and can pin down most motorcycles in the 200 cc segment as well. This has been made possible due to the massive overhaul in the engine department, which is a lot different from the 149 cc used in the V2. This V3 uses a new 155 single-cylinder engine that can churn out almost 19 bhp of power at 10,000 rpm and 15.1 Nm of torque at 8,500 rpm. The engine employs the VVA (variable valve actuation) which is the reason for the increased power production. It can race to 60 kmph way too quickly than any other model and before you can realise, the speedo crosses the triple figure mark. 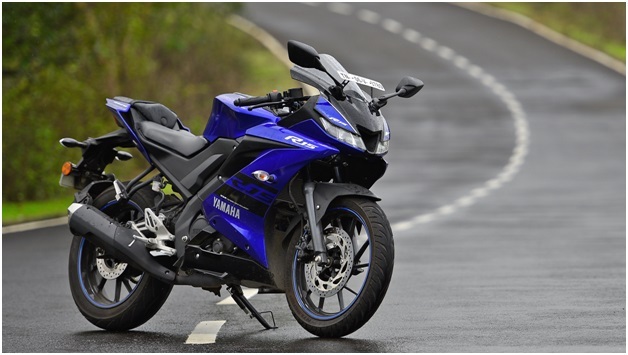 With the new Yamaha R15 V3, the experience of a sports bike has been brought in a small displacement model. It does quench the thirst for power and does it with ease. That said, considering that the Yamaha R15 price has always been at a premium range over its competitors, this V3 is worth every penny paid.